Tiny House Dragon Stove! 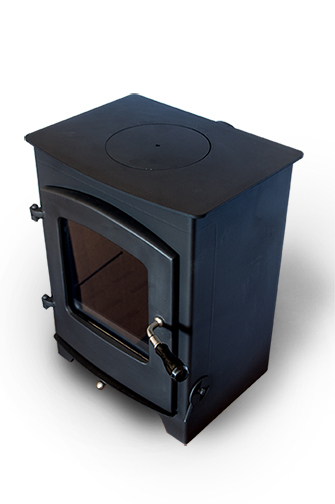 This small footprint stove is a clean burning secondary gasification cook and heat stove. It has both independent primary and secondary ventilation dampner controls to efficient combustion and duration of burn. This stove is cost effective and ideal for tiny homes and other small structures that want a sustainable, clean-burning firebox design. It features a large easy to clean glass viewing door and a functional cooktop, in an elegant, small footprint. The viewing glass is easy to clean with dual gaskets mounted on the solid cast iron door. One gasket on the glass and one on the door. This beauty has a cast iron door and a heavy duty 3 gauge thick plate cooktop (1/4"). The cooktop features a 6 & 7/8" round cooktop cutout for frying, boiling, using a wok, or other high firepower cooking. The plate can be left in for medium firepower cooking or low firepower cooking. This versatile stove performs well too, with a bed of embers is established and simmering along at low firepower. The robust firebox measures 12" wide x 8 &1/4" deep x 10" in height. 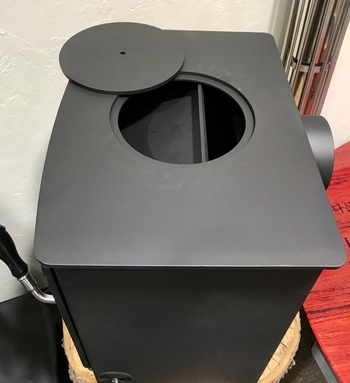 The Tiny House stove utilizes 4" standard chimney pipe and emissions vent out directly through the back of the stove. Simply shove 4" stove pipe on back of male stove pipe collar. Really great stove for small structures. Love the secondary combustion and pretty much everything about this wood stove. It would be a challenge (if even possible) to find another stove that gives anywhere close to the functionality that this one does, especially for the price! Great job Silverfire, keep doing what you do so well! We bought the Tiny House Dragon fireplace edition for our 13 ft. 4 season canvas tent. It fits perfectly and the window adds such a wonderful taste to our nighttime experience. The tent heats up quick and uses less wood than our old cast iron. Doesn't stay warm all night but enough to be comfortable until the morning. The gasifier double burns the smoke, so clean emissions! I can cook anything on the top. Pak choy, popcorn, tea, sweet potatoes, etc.., works great and very pleased with cost and investment! Many of our customers are DIY and self-reliant minded. We see all types of chimney installations and adaptations. We don't make specific recommendations or provide installation services. We have seen folks use gas duct vent pipe, chimney liner, self-fabricated chimneys & fittings, in addition to standard pellet and wood stove chimney pipe. Please install a CO monitor when burning any wood fired device indoors. They are inexpensive and offer important protection. This is what the 4" stock looks like at our local hardware True Value hardware store. 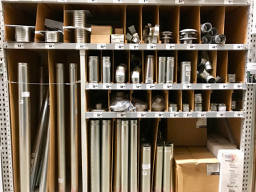 Here are DuraVent Pipe & Fitting nomeclature useful for installations and having local hardware stores or stove shops to order in. Unfortunately, both larger bulky wood & pellet stoves are too hot for smaller structures and typically offer no cooking surface. Additionally, the expense is often unreasonable. Bottom line most pellet or wood stoves that offer secondary gasification and re-burn at the top of the firebox with clean combustion are expensive an not viable for use in a small footprint structures, marine, or with manufactured home use. 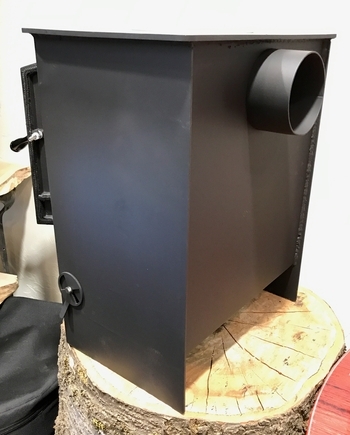 Smaller micro gasifier heating stoves we have tested offered no adequate cooktop surface and required fuel to be fed into the firebox every 2 hours or less, that negatively impact sleep cycles. All the micro gasifiers we have tested were actually designed for marine use, with raised wall installation. This design means your floor is area cold, due to lack of thermal radiation (heat rises!). The many of the micro stoves currently offered are over twice the price of our Tiny House Dragon and have no meaningful cooktop. Other small space, cylinder shaped stoves marketed for tiny homes we have tested have no high firepower and low firepower cook top control, nor have an adequate cooktop surface. Some are over 10 times the price of our Tiny House Dragon and have less firebox viewing area to enjoy the wonderful secondary burn as seen with our efficient cook & heat stove. There was nothing on the market between to address cooking and heating both, that offered clean burning secondary combustion in a small footprint. That is till now! 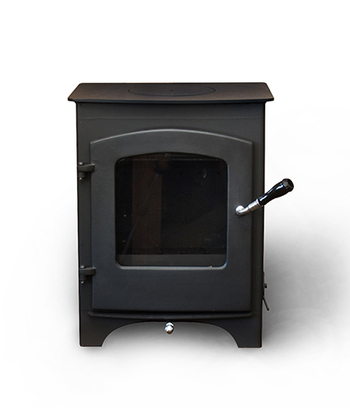 The Tiny House SilverFire Dragon Stove is perfect for smaller spaces! The clean burn is mesmerizing, with 2 rows of dancing secondary combustion at the top rear of firebox through the large 8 &1/2" x 9" viewing glass. The 95 lb of thermal mass, means adequate heat on cold winter nights. 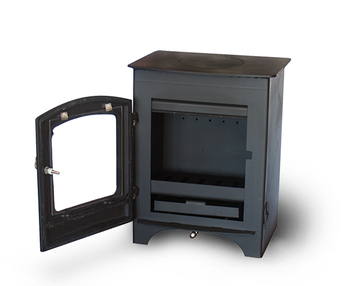 We have found the Tiny House stove is capable of heating up to 750 square feet comfortably. Of course space heating is variable in regard to insulation R values, season and wood fuel type. The Tiny House Dragon can produce burn times exceeding 5 hours when seasoned dry hardwood is used. The Tiny House Stove is 15 & 3/4" wide x 13 & 1/2" deep x 19 & 3/4" tall. Flat overall cooktop surface id 15 & 3/4" wide x 11 & 5/8" deep. Our cooktop area is significantly lager than other small space stoves we have reviewed. All our our SilverFire stoves can be top lit or bottom lit. We find top lighting the stove is most efficient, cleaner and easier than bottom lighting our stoves. The fuel pile can burn downward like a candle and it is easier to light in this fashion. Simply take stove fuel (small logs, kindling, etc...), and place in combustion chamber with smaller tinder on top. Top light tinder, its that easy. Some folks prefer to take a little pellet gel, alcohol gel and squirt in small amounts to establish the flame. Others prefer tack cloth, impregnated cotton balls, char cloth and other fire starters. What ever you are comfortable with is fine. Lots of fire starters and techniques out there. We occasionally are questioned about coal, in addition to biomass for fuel. Coal burns very hot and the stove was not designed for coal. Although coal could be lit and place in stove, it has the potential to fatigue the stove metals and potentially shorten stove life. Coal is higher in volatiles, pollution, and CO. We do not recommend coal or charcoal in stoves to insure as long a stove life as possible. https://www.goodhousekeeping.com/home/cleaning/tips/a21354/soot-glass-cleaning-sep06/This stove alone weighs 95 lb and with crate banded to pallet is approximately 120 shipping lb, requiring LTL freight truck transportation by lift gate. Please contact us for a specific freight quote to your doorstep on this item. This item due to weight varies in price, per location. 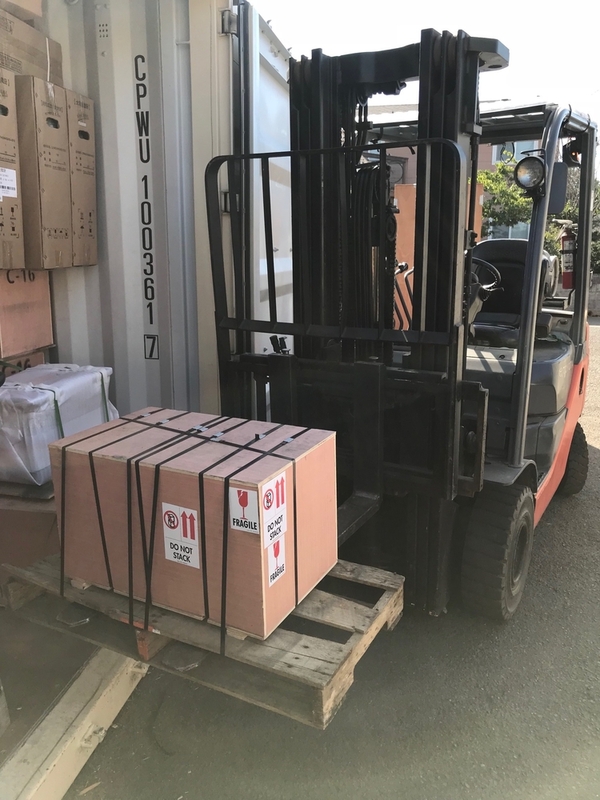 Average discounted shipping price for palletized heavy stove as truck freight is around the $200+ range.